Appetite for Netflix Originals is on the rise, according to a new study from 7Park Data. According to the firm, original content accounted for 37 percent of Netflix’s U.S. streams in Oct. 2018, up from 14 percent in Oct. 2017 and 13 percent in Jan. 2017. This increase in traffic to its exclusive content comes as Disney and WarnerMedia ready the launch of their own streaming services, which has led Disney to pull its content (including programming from Fox) from the platform. Netflix has spent an estimated $13 billion on content in 2018 with the goal of creating over 700 original projects. Many have questioned if Netflix Originals will be able to sustain an audience that has become accustomed to binging licensed content such as “The Office” and “Family Guy” (before it found a new home on Hulu, which Disney owns a stake in). Fox’s content once accounted for 21 percent of U.S. streams in 2017, a number that currently sits at 4 percent largely due to the migration of content from Netflix to Hulu. Despite the rise of Netflix Originals, licensed content still holds a strong value for the streaming giant. Four of its top 10 shows for the month of November, per 7Park Data, were licensed programs. “The Office” came in as the streamer’s number one series, “Friends” at number three, “Grey’s Anatomy” at number four and “Criminal Minds” at number 10. Check out Netflix’s top 10 series by stream starts below. 7Park Data passively collects desktop web viewership from an anonymized opt-in global panel of 3.5M viewers (across Netflix, Hulu and Amazon) – 3 million of which are from the U.S. This particular study was based on approximately 600,000 U.S. Netflix viewers. The acting legend (and father of Michael Douglas) crossed the century mark on December 9, 2016. 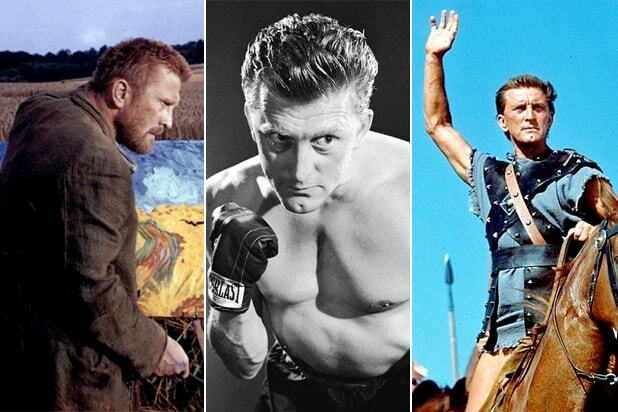 Here’s a look back at his biggest roles in Hollywood. Douglas earned his first Oscar nomination for playing the dogged boxer Midge Kelly in a black-and-white drama written by Carl Foreman (“High Noon”). In one of Billy Wilder’s most cynical dramas, Douglas plays a ruthless journalist who exploits a mining disaster — even sabotaging rescue efforts — to prolong the media frenzy. Douglas plays twin brothers — a one-legged gold prospector and a wealthy cattle rancher — in George Miller’s coming-of-age drama about a ranch hand in 1880s Australia.